​Whether the other ingredients in an energy drink accentuate the caffeine boost also depends on whether the consumer is missing anything. If someone eats a well-balanced diet and doesn’t limit their food choices to 1 or 2 food groups, they probably get enough vitamins, minerals, and other nutrients to make the extra ingredients in an energy drink irrelevant. 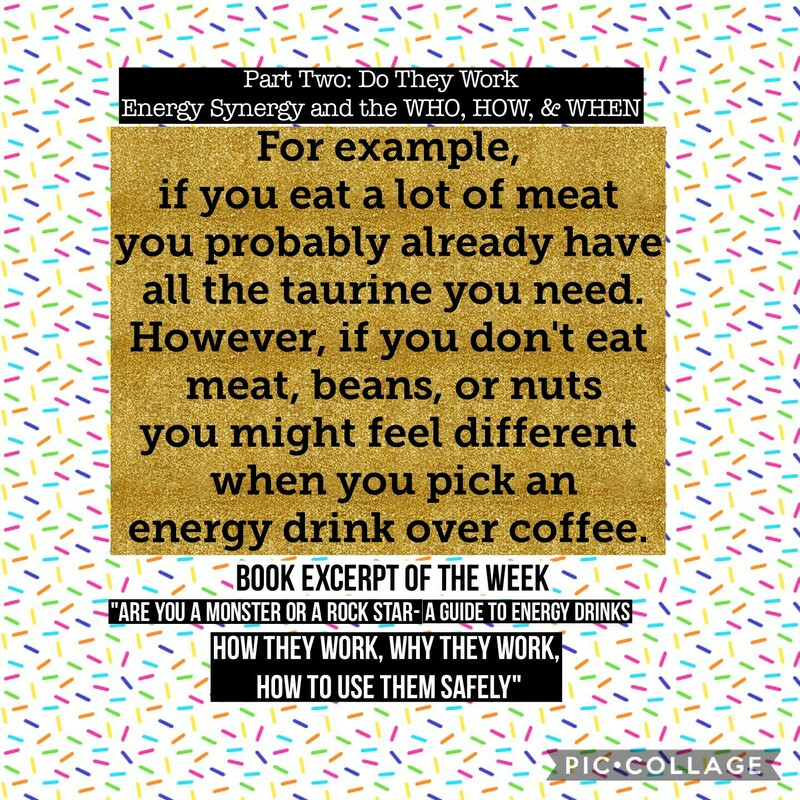 Taurine is naturally found in meat, so if you regularly eat meat, getting more taurine with your caffeinated drink won’t really affect you. The same goes for VITAMINS – HOPEFULLY you’re getting enough through food but IF YOU’RE NOT, the extra doses of vitamins can boost the effects you feel from the caffeine.